Fair. B00HR5ES4U 1852 William & Robert Chambers (Edinburgh, Scotland) 7 1/8 x 9 7/8 inches tall hardbound volume, leather spine and tips over marbled boards, gilt lettering to spine, vii, 416. Cracking between pages 272-273, with the leaf at 273-274 only attached at the top. A bit of cracking between rear free-endpaper and pastedown. Otherwise, a good bound volume of this scarce and fascinating mid-nineteenth century publication On a random turn of page in the in this volume, a review of Harriet Beecher Stowe's Uncle Tom's Cabin. ~EEE~Robert Chambers (10 July 1802? 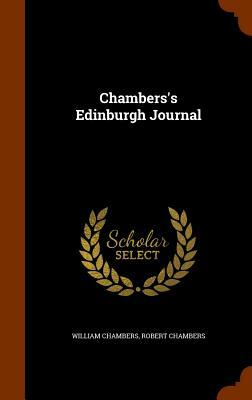 17 March 1871) was a Scottish author, journal editor and publisher who, like his elder brother William Chambers of Glenormiston the publisher and politician, was highly influential in the mid-19th century in both scientific and political circles. He was the anonymous author of the Vestiges of the Natural History of Creation, which was so controversial in that religion-dominated era that his authorship was not acknowledged until after his death. New. Sewn binding. Cloth over boards. 850 p. Contains: Illustrations, black & white. New. Sewn binding. Cloth over boards. 854 p. Contains: Illustrations, black & white. New. Sewn binding. Cloth over boards. 852 p. Contains: Illustrations, black & white. New in New jacket. Lang: -English, Pages 863. It is the reprint edition of the original edition which was published long back. The book is printed in black on high quality paper with Matt Laminated colored dust cover. We found this book important for the readers who want to know more about our old treasure so we brought it back to the shelves. We tried to manage the best possible copy but in some cases, there may be some pages which are blur or missing or with black spots. We expect that you will understand our compulsion in these books. Print on Demand. New. Sewn binding. Cloth over boards. 858 p. Contains: Illustrations, black & white. Volumes 13 and 14 only, bound together; small quarto, vii, , 416, vii, , 416 pp, later cloth bnding rubbed and worn with spine covering nearly detached, text age toned with light damp staining in upper outside corner throughout. Very Good-- Book Front endpapers replaced, lacking second blank leaf. Corners bumped and rubbed. Spine ends rubbed with scratches. Tiny scratch to spine. Senior English History - From the Earliest Times to 1884 for Standards V. VI.